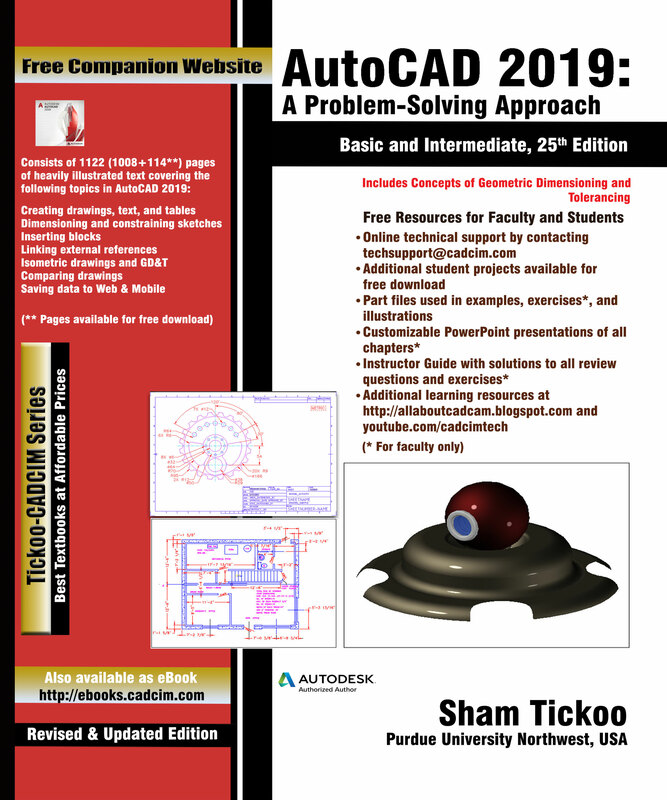 The AutoCAD 2019: A Problem-Solving Approach, Basic and Intermediate, 25th Edition textbook contains a detailed explanation of AutoCAD commands and their applications to solve drafting and design problems. 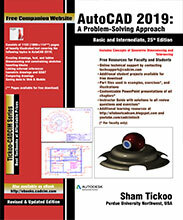 In this textbook, every AutoCAD command is thoroughly explained with the help of examples and illustrations. This makes it easy for the users to understand the functions of the tools and their applications in the drawing. After reading this textbook, the user will be able to use AutoCAD commands to make a drawing, dimension a drawing, apply constraints to sketches, insert symbols as well as create text, blocks and dynamic blocks. The book also covers basic drafting and design concepts such as dimensioning principles and assembly drawings that equip the users with the essential drafting skills to solve the drawing problems in AutoCAD. While reading this textbook, you will discover some new tools introduced in AutoCAD 2019 such as DWG Compare, Save to Web & Mobile, and Shared Views that will enhance the usability of the software. Comprehensive textbook consisting of 24 chapters that are organized in a pedagogical sequence. Detailed explanation of all commands and tools. Hundreds of illustrations for easy understanding of concepts.